To house train, a new puppy is akin to an unbeatable dilemma and a real challenge. 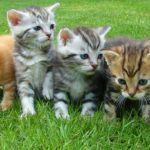 Everyone, whether it is family members, friends or people that you hardly know want to see your new puppy and then offer unsolicited advice on how to house train a puppy and narrate horror stories that are associated with potty training a new puppy. However, to successfully house train a puppy with ease is to craft a plan before you even bring the new furry pet member home because it is an undeniable fact that puppies need to eliminate and unless they are trained, they will continue to soil your house with their pees and poos. 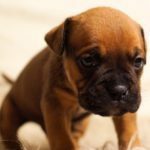 Once your puppy has mastered the technique of potty training, you will be greatly relieved and will not have to be anxious or apprehensive about your puppy going in the wrong spot for elimination. There are many techniques of how to house train your puppy but some of them simply prove ineffectual. House training needs to be undertaken with verve, vim, and willpower. Below are some of the strategies that you can adopt to successfully house train your puppy. Puppies are incapable of differentiating right from wrong. They come to the people with the maxim of doing whatever, whenever and however they please and this relates to eating, sleeping, eliminating and other activities and other then this is beyond their understanding. It is up to you to instill the values in them because they simply don’t know that urinating in the house is intolerable. If you want to school your puppy that elimination on the carpet is wrong, then you need to catch him in the act. Punishing him after the deed has been done will only bamboozle your puppy and will make things difficult for him. They perform best when doing something with regularity. It is best to take your puppy outside quite frequently for potty training. 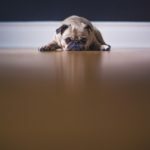 You can fix some time periods for eliminating activity like after your puppy wakes up from a nap, after eating, drinking or being engaged in a sporting activity. Applaud your puppy rapturously after he eliminates outdoors and does it as soon as he has eliminated and not when he has entered the house. This action is imperative if you want your puppy to realize what is expected of him and what will get him your praise. It is recommended that you choose the bathroom spot that is somewhere near your gate and leash your puppy whenever taking him to the specific spot. 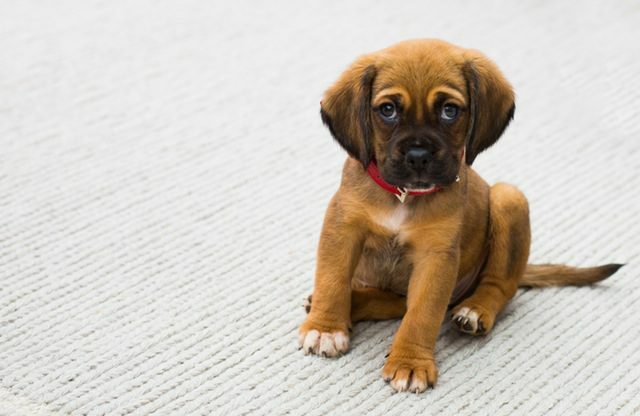 If your puppy eliminates inside the house, then place the soiled rags or paper towels near the bathroom spot, so that your puppy identifies and acquaints the place to be the area where he is supposed to eliminate. Always use the precise word like “go potty” or “potty time” when asking your puppy to eliminate so that he begins associating the word with that act. It is also suggested that you feed your puppy at the identical time daily so that he becomes consistent in his eliminating routine. 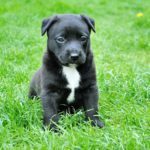 Keep a strict check on your puppy when he is indoors and when you perceive indications that your puppy wants to eliminate, instantaneously take him outdoors. It is crucial for you to inculcate the value in your puppy that elimination should be done away from the food and sleeping area. 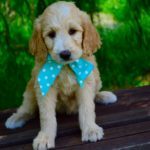 Since you can’t always keep your puppy on a lookout, you can obtain a crate as housing for your new puppy or confine him in a small portion of your bathroom or laundry room which is fenced off with baby gates. This area should have enough portion to enable your puppy to stand, lie down or turn around with ease. 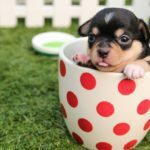 Most puppies love compact spaces, as this proffers them with a sense of security and they won’t usually eliminate in confined spaces. When you have confined your puppy for few hours, take him to the bathroom spot and applaud him when he eliminates. You will be meted with accidents of your puppy eliminating in the house. When you see him eliminating inside the house, interrupt him with a noise (don’t scare him) and take him to the bathroom spot. Don’t become too harsh with your new puppy. It will take time for him to understand and adapt to your rules and standards. Refrain from physically abusing or punishing your dog as this is not only unkind and horrid, this will also inculcate a sense of fright and dread against you and instead of transforming his natural habits, your puppy will pee under something to veil it from you. 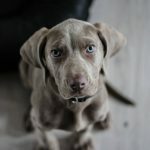 Thoroughly clean the soiled area as puppies are more inclined to eliminate in places which smell of their urine or feces. Puppies which have not yet crossed their sixth month are not expected to have control of their bladders for more than few hours. So if you have to away from the house for more than three to four hours, it is recommended that you drop the idea of bringing a puppy home.